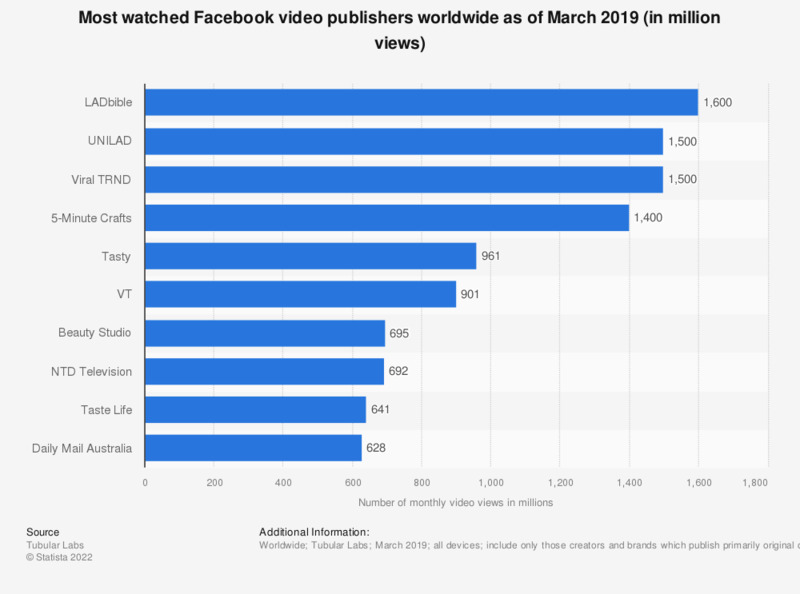 This statistic presents a ranking of the most watched Facebook video publishers worldwide as of March 2018. During that month, UNILAD generated over 2.12 billion video views. LADbible generated more than 2.45 billion video views.